Complete the referral form either using the Online Form below or download the PDF Form. Upload any supporting files, such as images, by dragging and dropping into (or "choosing" in) the Upload Files section. 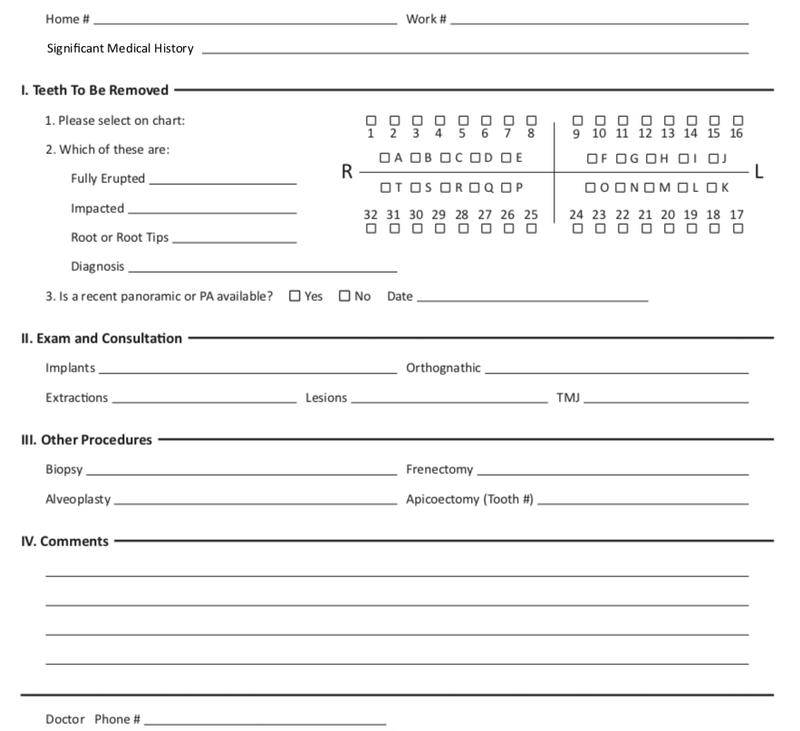 If using a PDF referral form, include that in the files upload. The referral has been submitted, thank you. [Optional] Notify your front desk that this referral has been sent. Enter the email address to send a notice to. Or add a completed Referral PDF to the file uploads below.